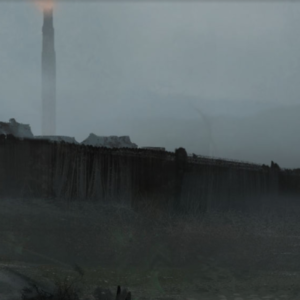 There are two commonly known frontier outposts, Thistle Hold, commonly known as Beacon after the 300 foot tower topped with a constantly stoked bonfire, and Moors, a newer shantytown established by itinerants about a day’s travel from Beacon. Citizenship in Beacon is a luxury. Non-citizen workers live outside the palisades and must leave by dusk. Invitations from established citizens or purchased credentials allow visitors to remain within. Moors is much smaller than Beacon, mostly made up of tents, and is reputed to be much more dangerous. Both border the great primordial forest Davokar. The forest shrouds the ruins of the ancient empire Symbaroum. Barbarian custom and law forbids venturing more than several days into the forest. The exact taboo varies from tribe to tribe. Adventurers on the frontier take this restriction with various degrees of seriousness. You begin at the Broken Spokes coach house, with roads going to both Moors and Beacon. The patron of Moors, House Erebus, is hiring small mercenary companies as privateers. The Ordo Magica outpost in Beacon seeks certain artifacts and information from Davokar. Local rangers from Beacon have discovered ruins which require special talents to navigate. Inquire at Beacon’s barracks. 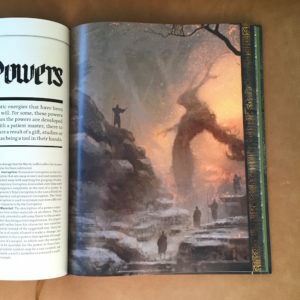 This entry was posted in Campaigns and tagged Symbaroum on July 18, 2016 by Necropraxis. Several different traditions of magic coexist in the world of Symbaroum, including wizardry, witchcraft, theurgy, and sorcery. All forms of magic entail the risk of corruption, but the risk can be decreased somewhat by following the rituals and practices of a given tradition. Each tradition grants access to a set of spells and casting these spells in the traditional manner avoids some of the dangers of raw magic. Wizardry is highly codified arcane knowledge as set down formally by the Ordo Magica. Learning wizardry requires long, systematic study and extensive formal training. Witchcraft follows older ways from the great forest Davokar. The witches serve as spiritual advisors to the barbarians living on the outskirts of the great forest Davokar. Many Ambrians are highly distrustful of witchcraft and see witches as little different than demon-worshipers or sorcerers but witches have elevated social positions within their own tribes. Theurgy channels the power of the gods, most commonly the sun god Prios. Covenants with other lesser-known powers are becoming more common following the exodus. Sorcery is the least formal of all the traditions, though there are many secret lineages. Some sorcerers come to the art by pact with occult beings while others discover ancient proscribed treatises and are self-taught. Despite the dogma of the Ordo Magica, sorcerers do follow rules, just highly idiosyncratic rules. To someone trained in one of the other traditions of magic, sorcery can seem pure chaos. Sorcery is forbidden according to the law of old Alberetor, but that has less force in the frontier of Ambria. Characters on the Path of Wonder choose a tradition before play. Other characters with Magic stat greater than zero may enter into a tradition during play. Characters may not belong to more than one tradition. When a character casts a spell within the bounds of tradition, there is no immediate chance of catastrophe or abomination, though the character accumulates a point of corruption for each spell cast. Once the number of corruption points equals the character’s magic stat, however, the safeguards of tradition become less able to control the mystic power unleashed. Characters reset corruption points to zero during each Haven Turn. See the Hazard System for details about Haven Turns. If a character casts a traditional spell when corruption is equal to the Magic stat, there is a chance that they are unable to control the arcane power. Reality objects to being ungently used and reacts proportionally. The spell caster must make a Magic Test or acquire a permanent stigma, a physical mark of arcane corruption. Determine stigma randomly. Casting a nontraditional spell when corruption is equal to the Magic stat follows the same rules, but failing the Magic Test results in a catastrophe in addition to a permanent stigma. This is why untrained magicians are so feared and traditionally punished with exile or death. The Ordo Magica is often blamed for any magic disaster and so is particularly harsh in hunting down and punishing renegades. Once a character has accumulated a number of stigmata equal to their Magic stat, their humanity hangs in the balance. The next time that character would acquire a stigma, instead they are fully transformed into an abomination. At this point, the player must make a new character and the abomination becomes a monster under the control of the referee. Characters with Magic stat greater than zero and no tradition may still learn and cast spells or use enchanted objects following the magic rules, but have none of the safeguards against corruption that the traditions provide. Attempting to learn a spell outside of a tradition and failing also causes either a stigma or a catastrophe (the player may choose). Spells marked as rituals take a full Dungeon Turn to cast. See the Hazard System for details about Dungeon Turns. Other spell can be cast as a combat move. The four magic traditions and the progression from stigmata to abomination are based on the Symbaroum setting. This entry was posted in Rules and tagged Hexagram, magic-user, Symbaroum on July 13, 2016 by Necropraxis. To Alberetor in golden chariots the Gray Knights came. Queen Korinthia greeted them as emissaries of the sun god but they were not emissaries, they were conquerors. After many bitter years of war, the Queen fled north over the Titan Mountains with the remnants of her people to the barbarian lands bordering the endless primordial forest Davokar. Alberetor remains a blighted ruin presided over by the inscrutable Gray Knights. Though the church of Alberetor has always paid respects nominally to all immortal offices, in practice the sun lord Prios came traditionally to be exalted over all others. Because the order of Prios welcomed the knights from the sky, this hierarchy has become contested. North of the Titan Mountains, the Queen founded the new realm of Ambria. 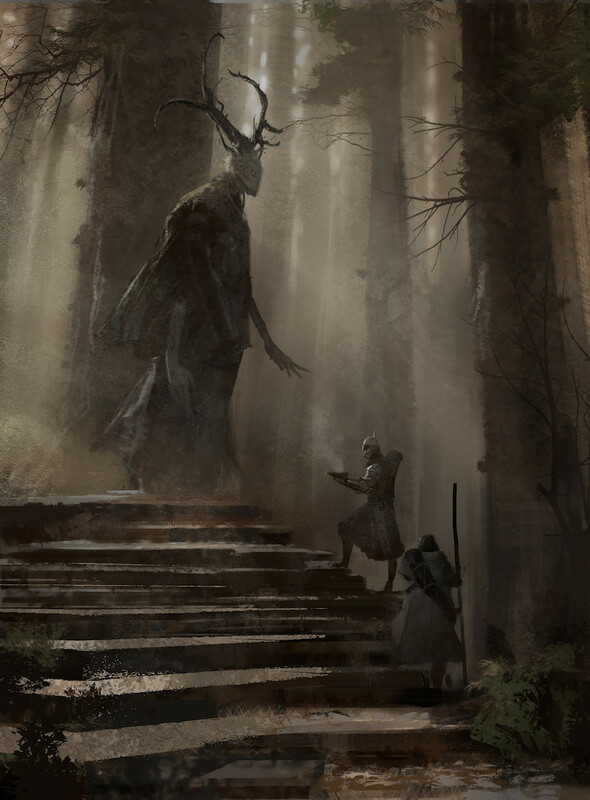 The nobles of Ambria have now turned their attention to incorporating or eliminating barbarians and subduing the forest itself, which shrouds the ancient mysteries of the lost civilization Symbaroum. Explorers of the forest depths report weird happenings far beyond the mundane dangers posed by unknown, hostile wilderness. Ambrian adventurers seeking fortune in the opportunities created by these upheavals, concentrated in the border town of Thistle Hold, are divided regarding respecting or exploiting unknown Davokar. This campaign abstract is derived from the default setting of Symbaroum. 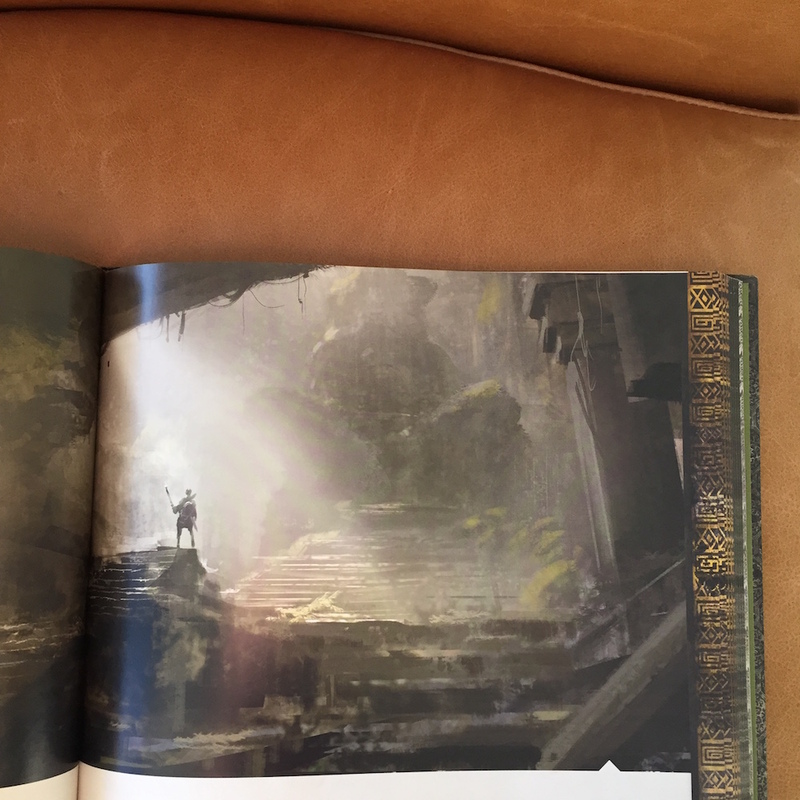 This entry was posted in Campaigns and tagged Symbaroum on July 11, 2016 by Necropraxis.